The Captain Amarinder Singh-led Punjab government will take important decisions in its first cabinet meeting which will be held today at 12 p.m. here. The issues, likely to be discussed in the meeting, are that of farmers' loans, fixation of the new power tariff, and measures to put the state's fiscal situation on track. The cabinet is also expected to give a nod for 50 percent reservation for women in the local bodies and 33 percent reservation for women in jobs. Capt. 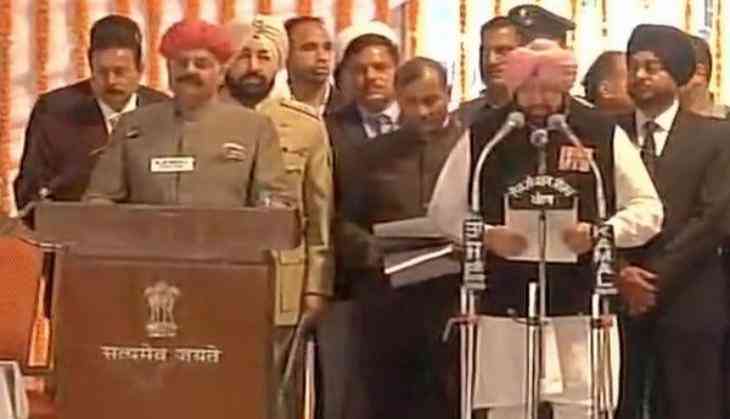 Amarinder Singh, who on March 16 took charge as the Chief Minister, assured to fulfill all the promises made in the Congress manifesto for development of Punjab. 'I will work on programmes mentioned in the manifesto from Monday. I will take up most of the issues in the first Cabinet meeting,' he told ANI. Singh led the Congress to victory in the state after a decade. The Congress secured 77 out of 117 seats in the state assembly polls. The Aam Aadmi Party (AAP) won 20 seats on its debut, emerging as the second largest party in the Punjab Assembly. The Shiromani Akali Dal (SAD)-Bharatiya Janata Party (BJP) alliance fared the worst with 18 seats.